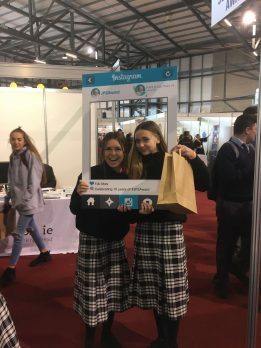 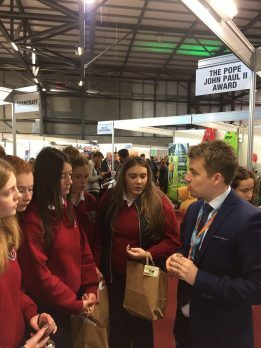 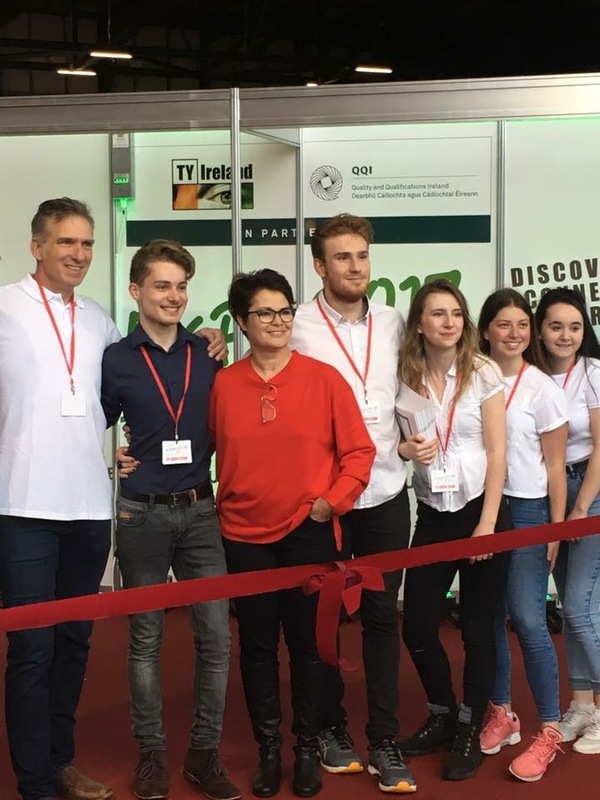 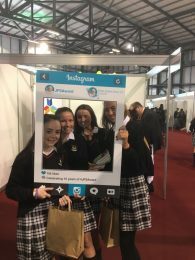 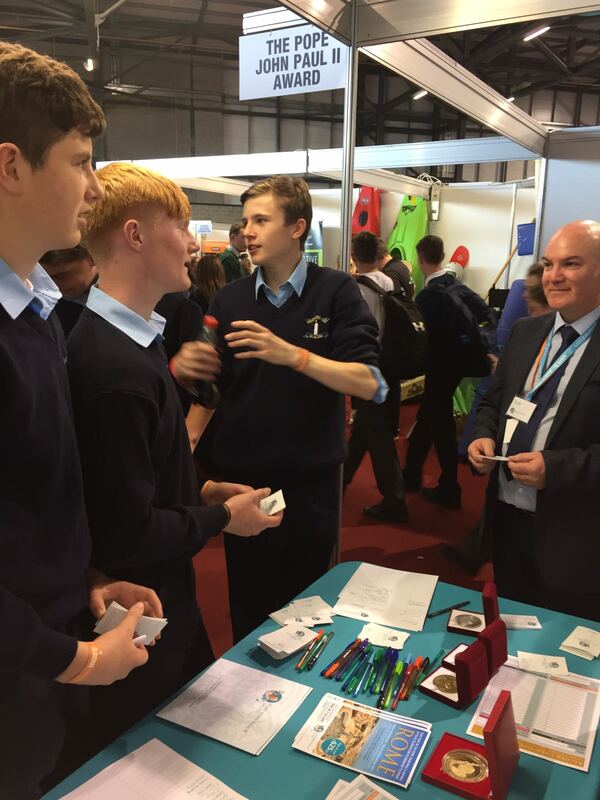 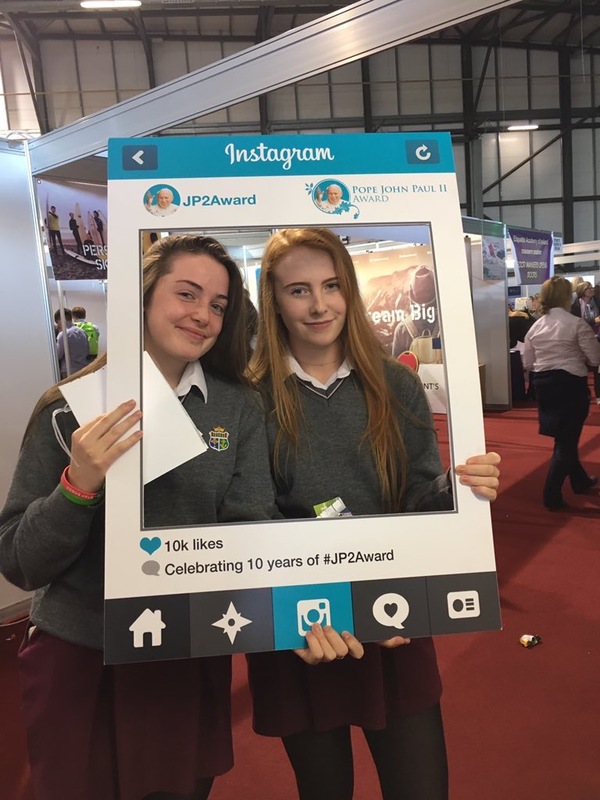 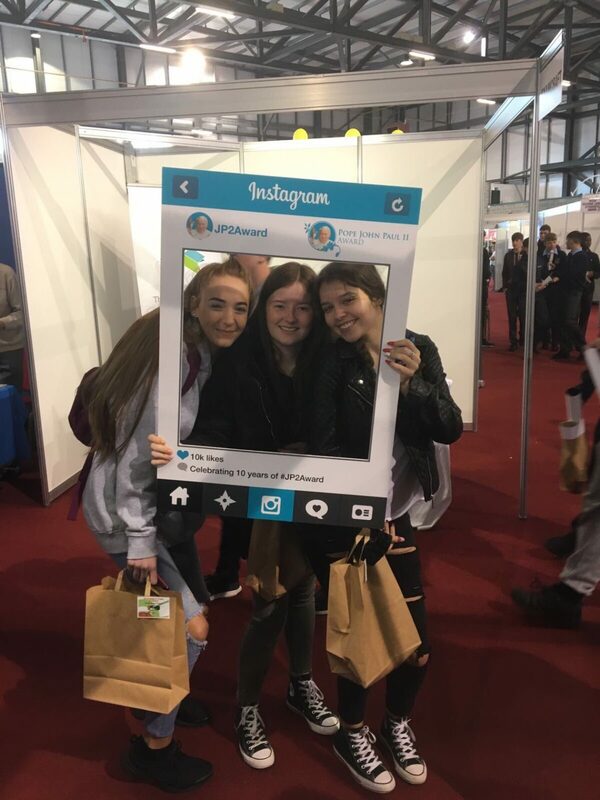 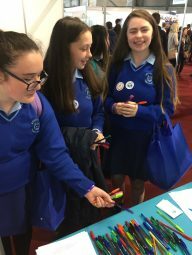 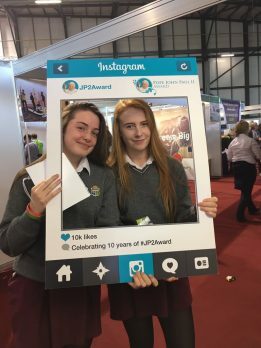 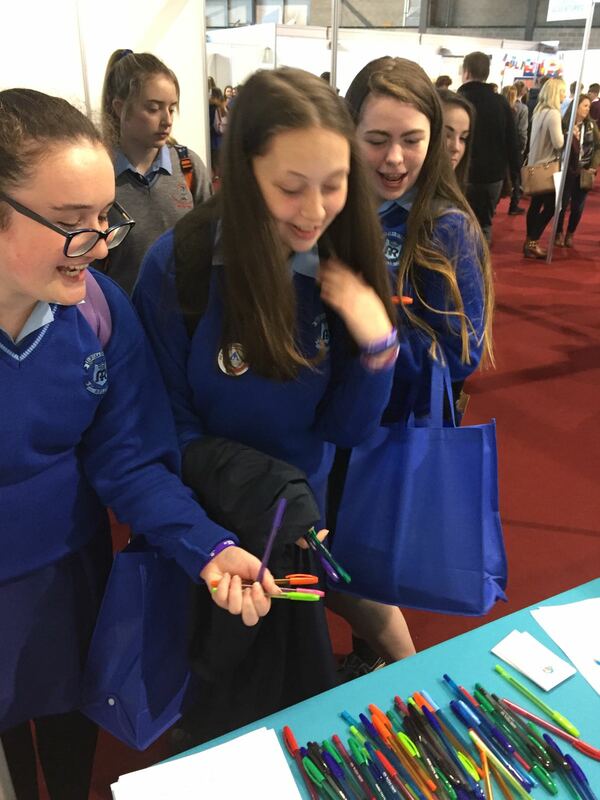 TY EXPO 2017 took place at Punchestown Racecourse Event Centre on Monday 11th and Tuesday 12th of September 2017. 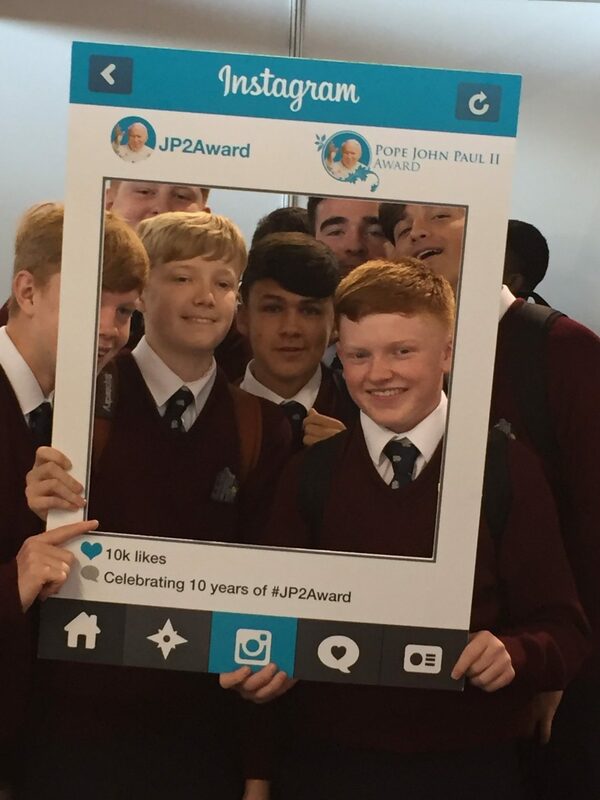 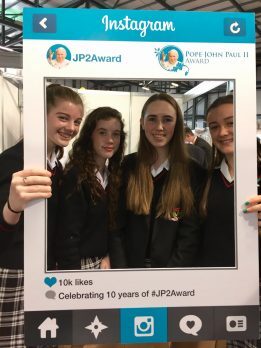 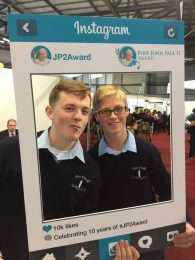 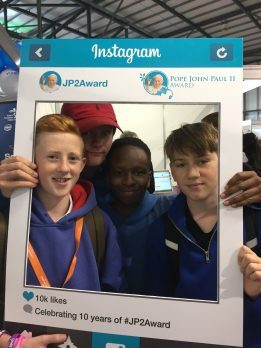 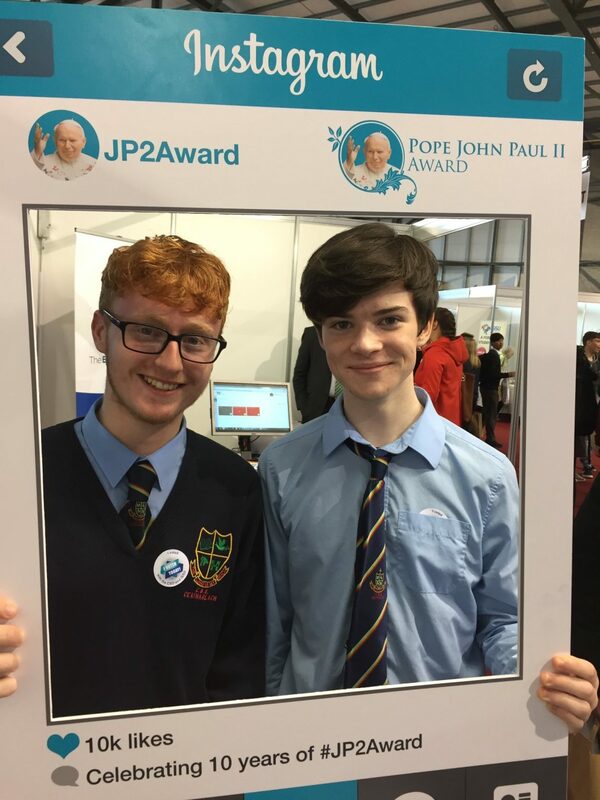 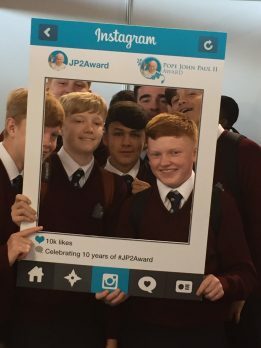 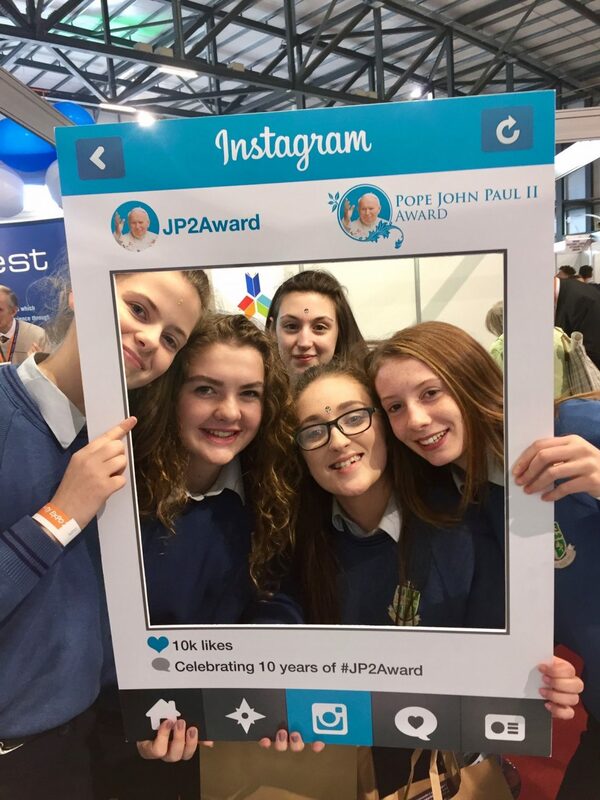 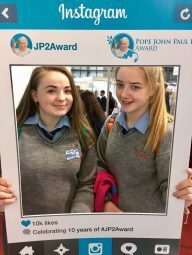 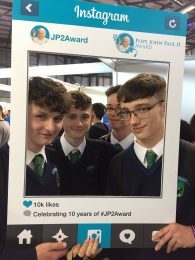 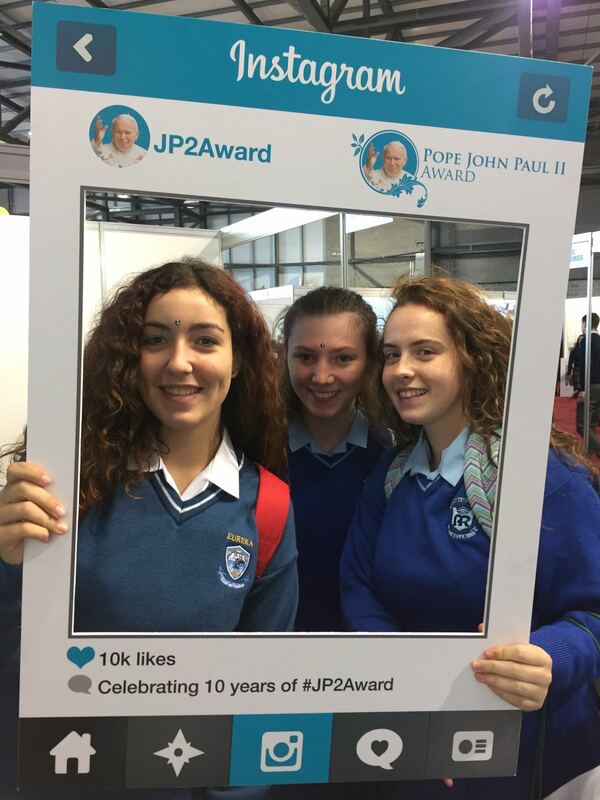 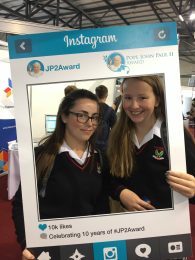 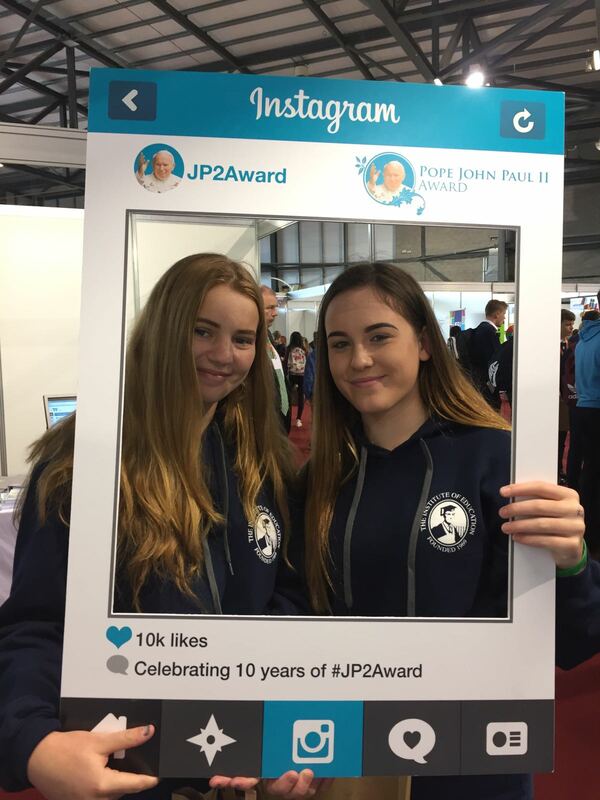 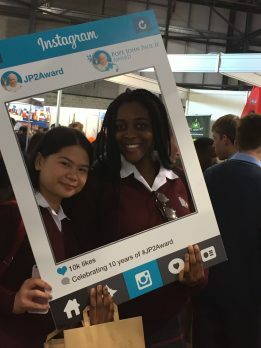 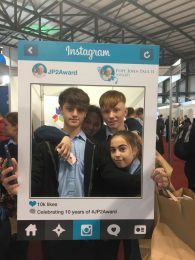 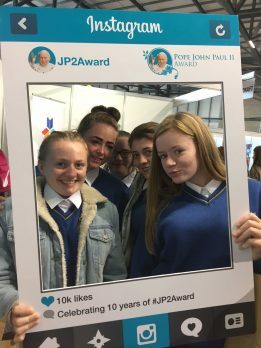 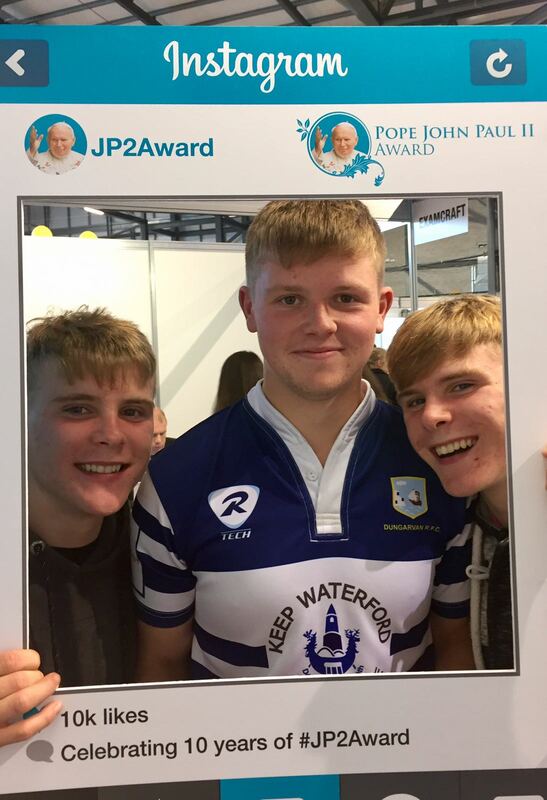 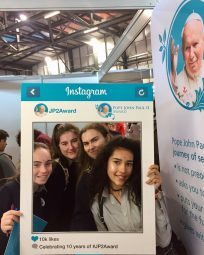 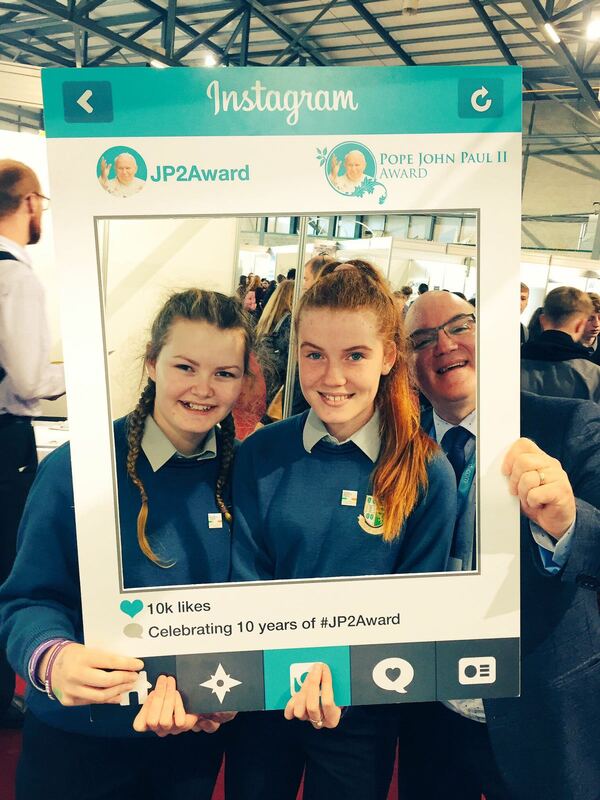 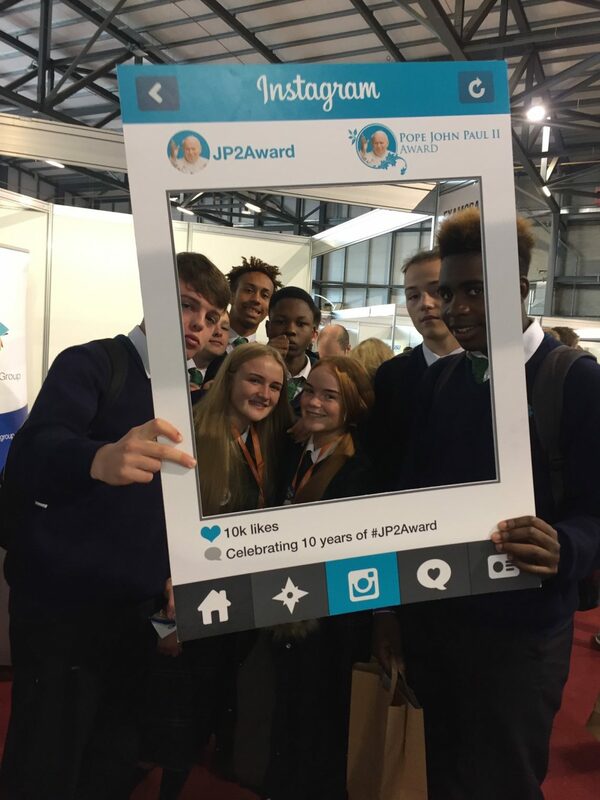 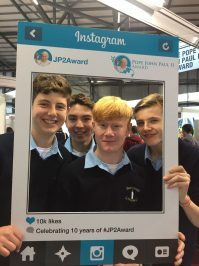 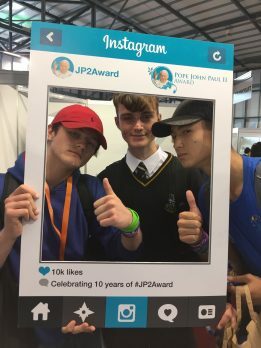 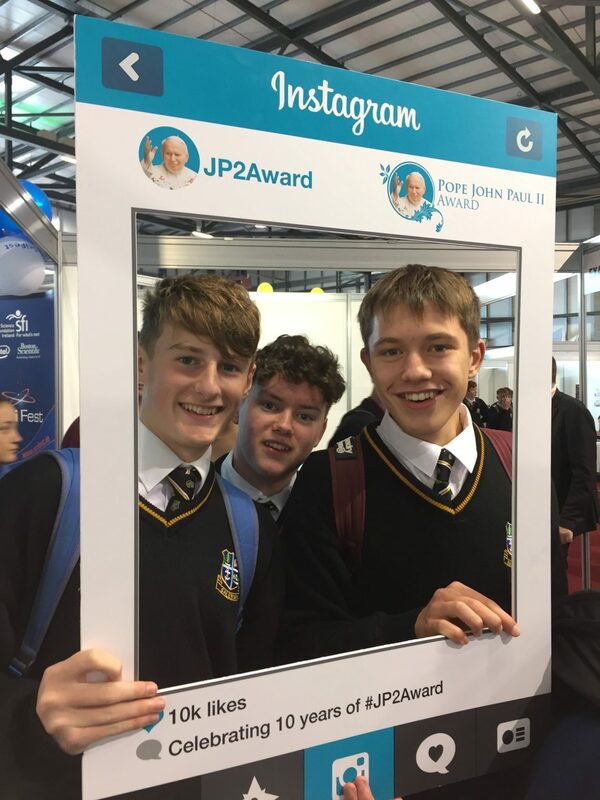 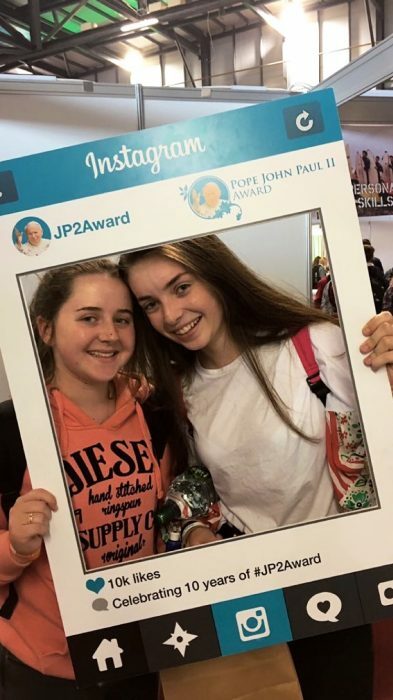 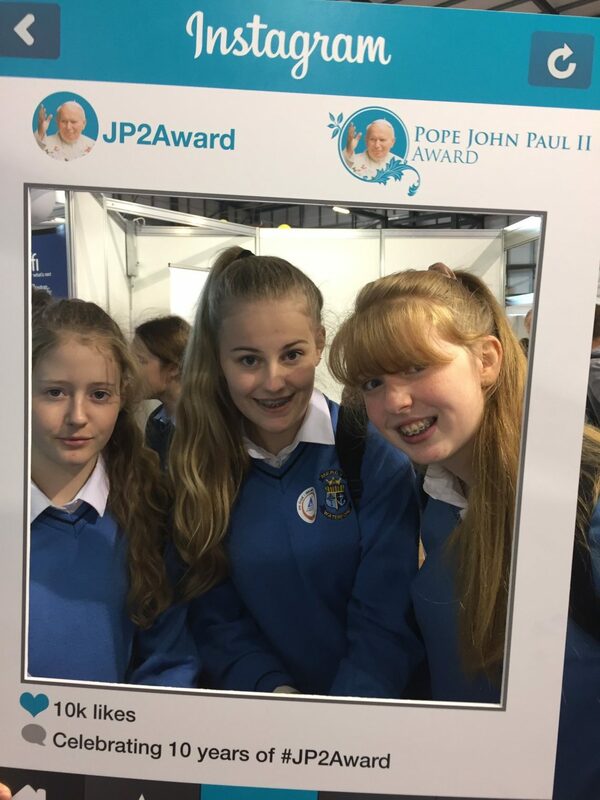 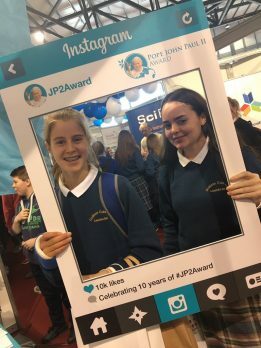 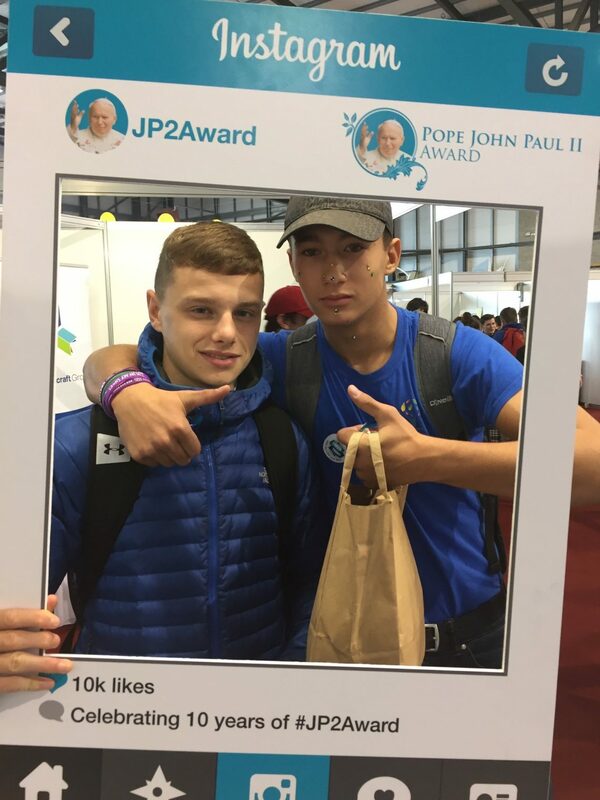 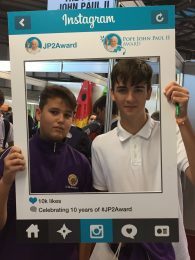 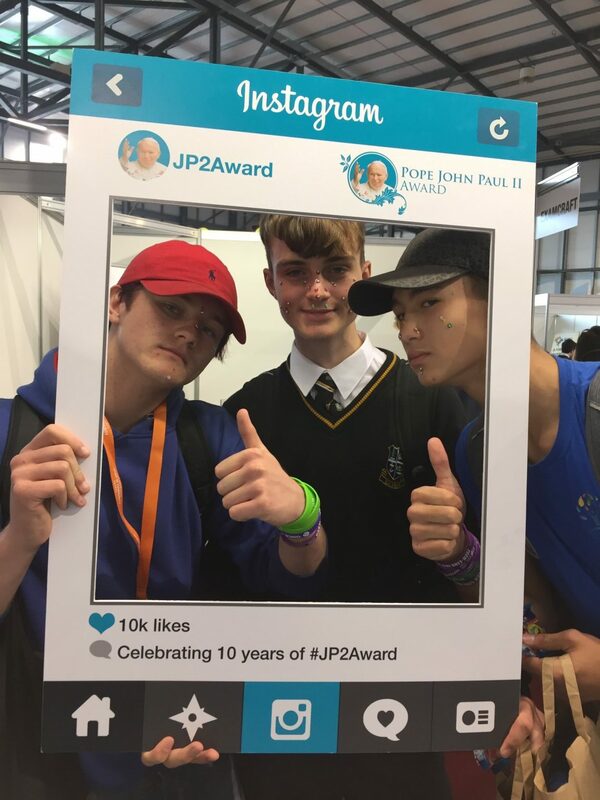 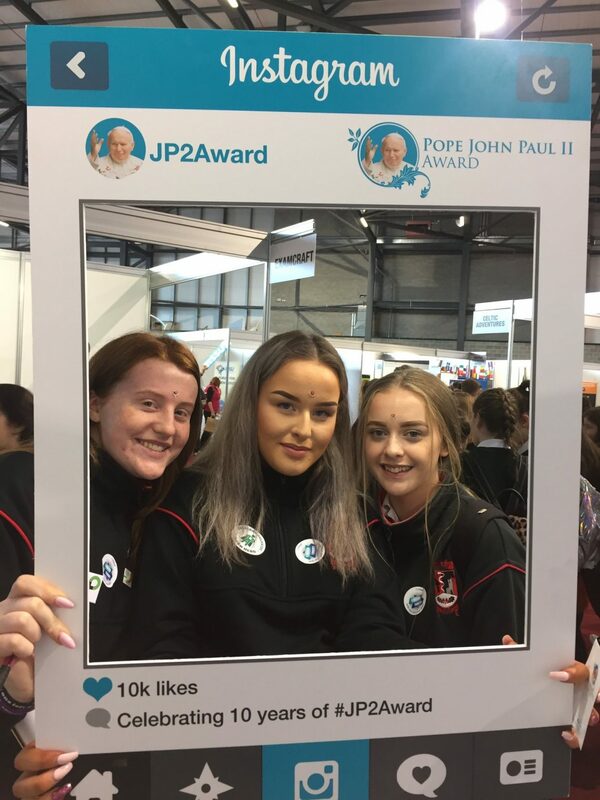 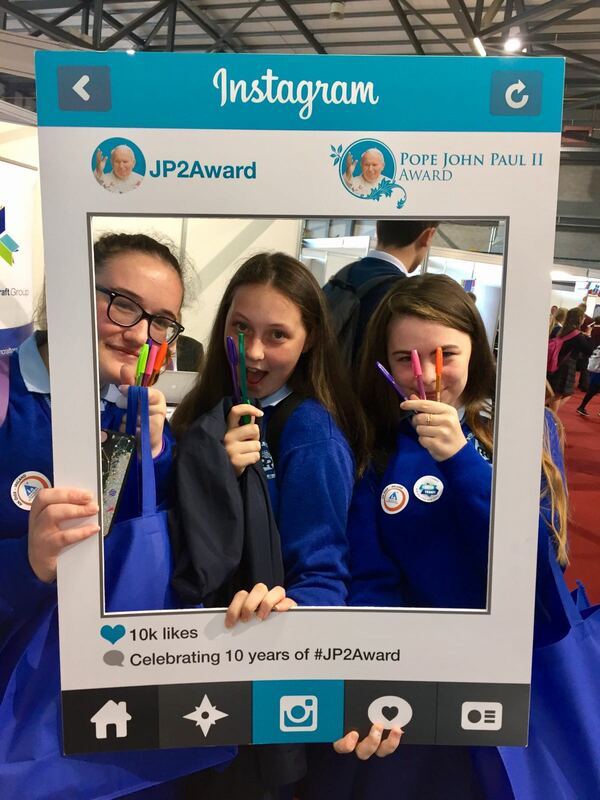 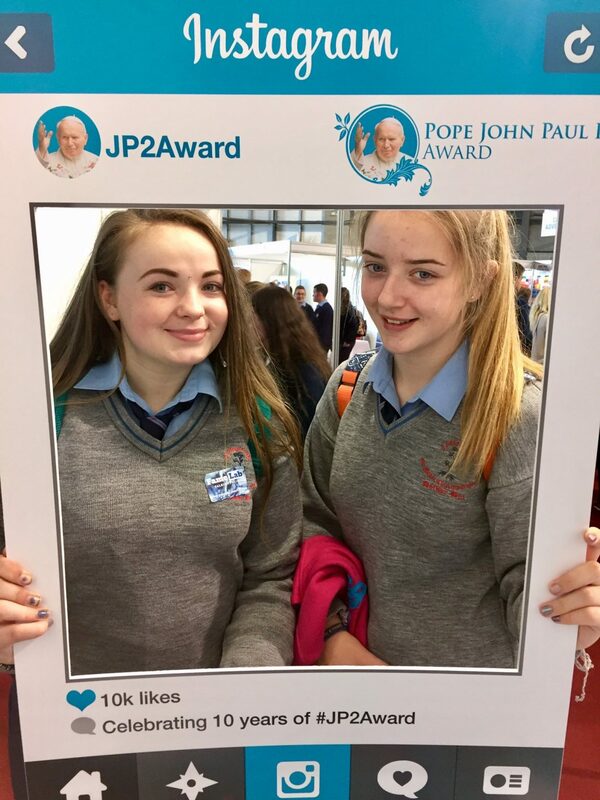 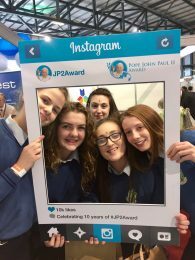 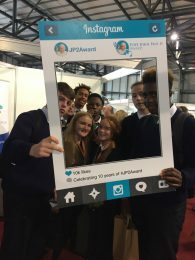 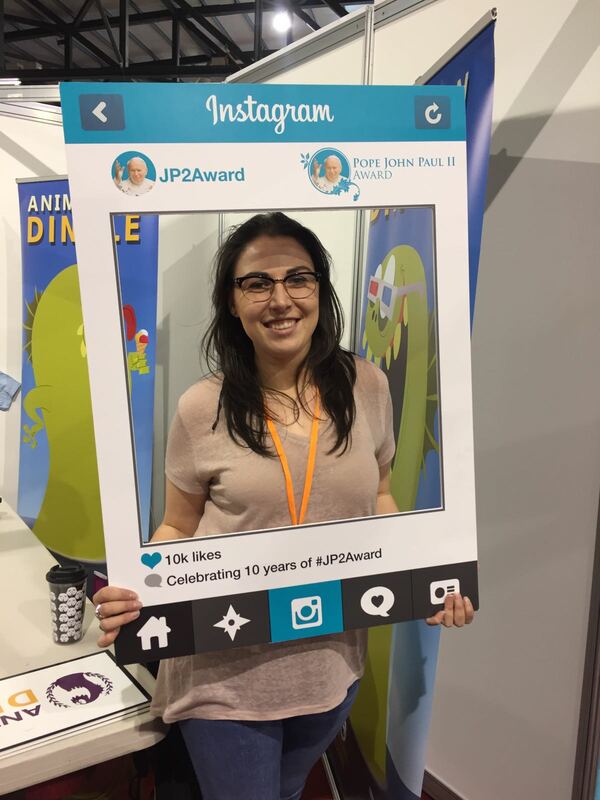 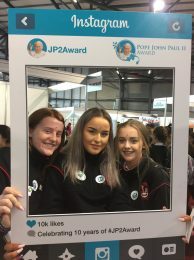 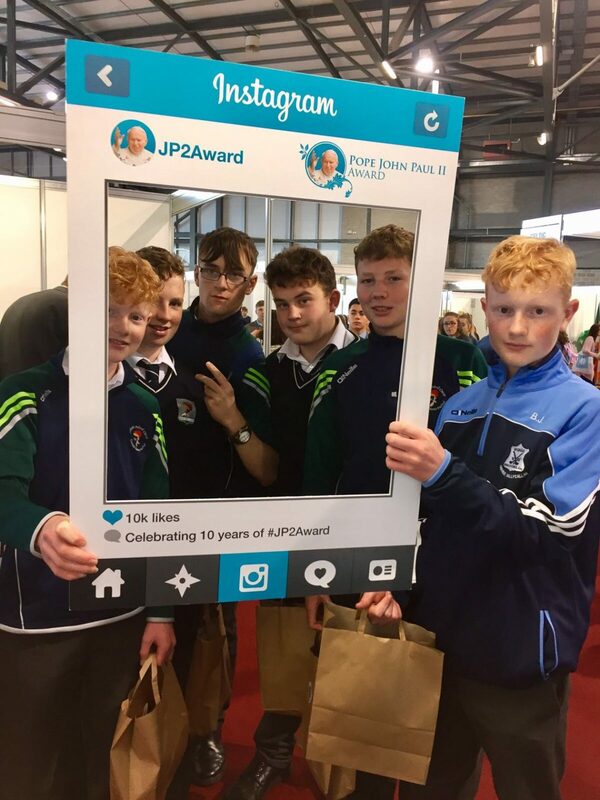 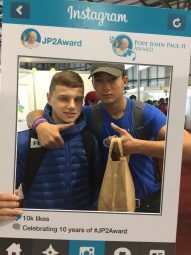 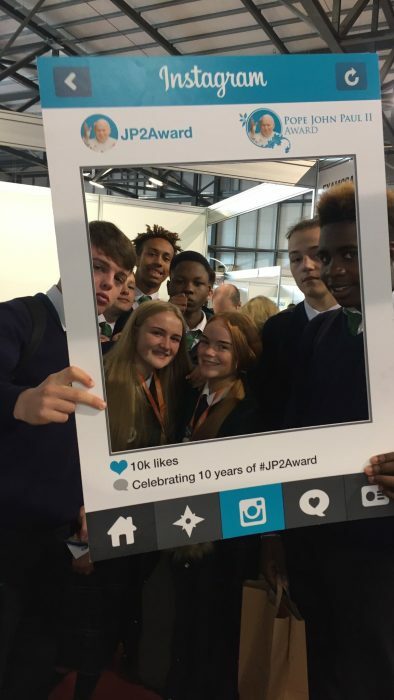 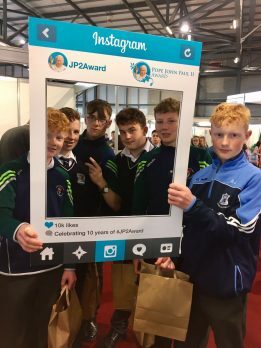 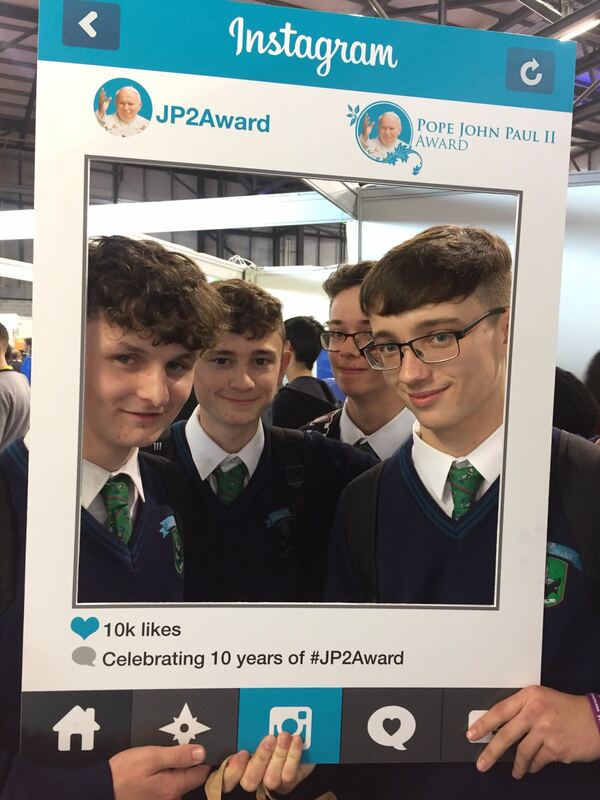 The Pope John Paul II Award met students from right across Ireland seeking projects and activities for their transition year. 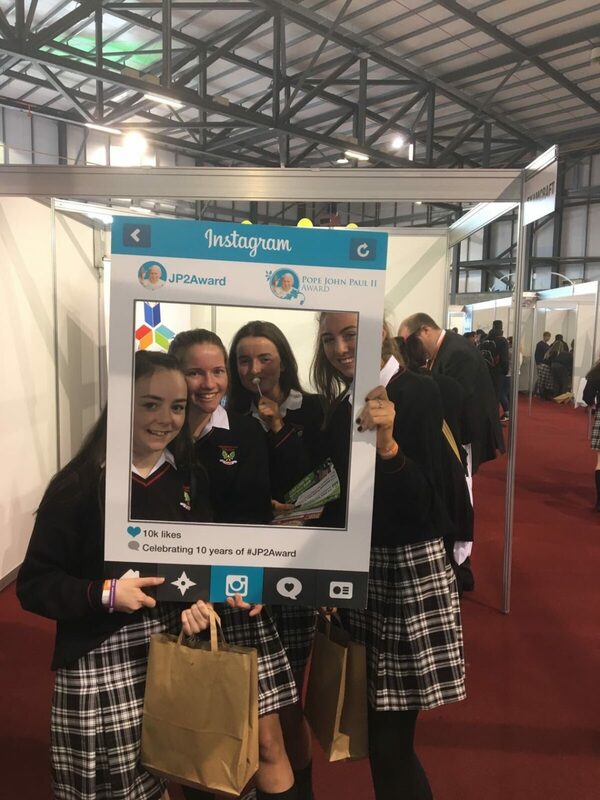 Transition Year Ireland (TYI) is an Information Resource for Transition Year Students, their Teachers and their Parents. Its aim is to provide access to the vital information needed for a stimulating and challenging Transition Year. 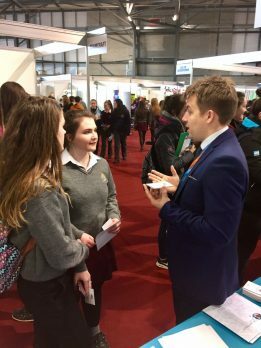 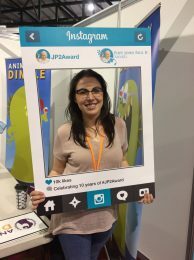 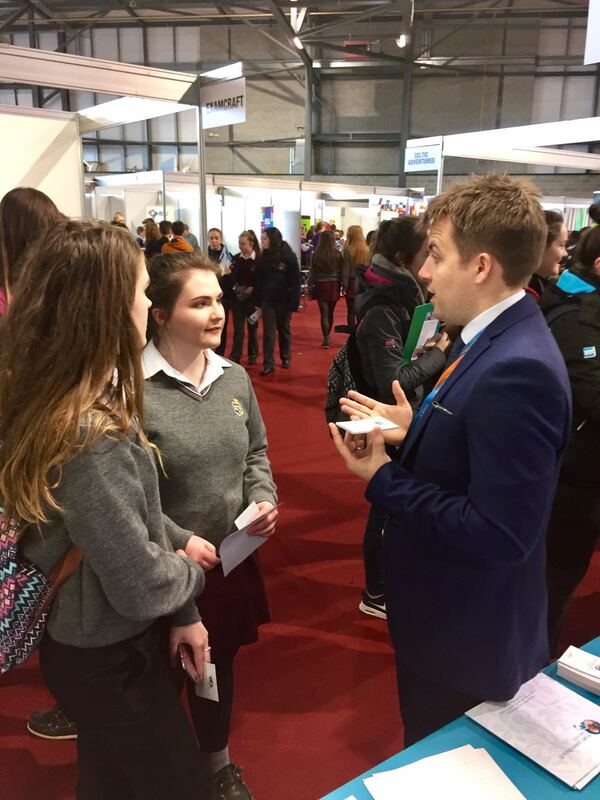 TYI help teachers and parents inform students about TY opportunities, activities, programmes and initiatives available to them. 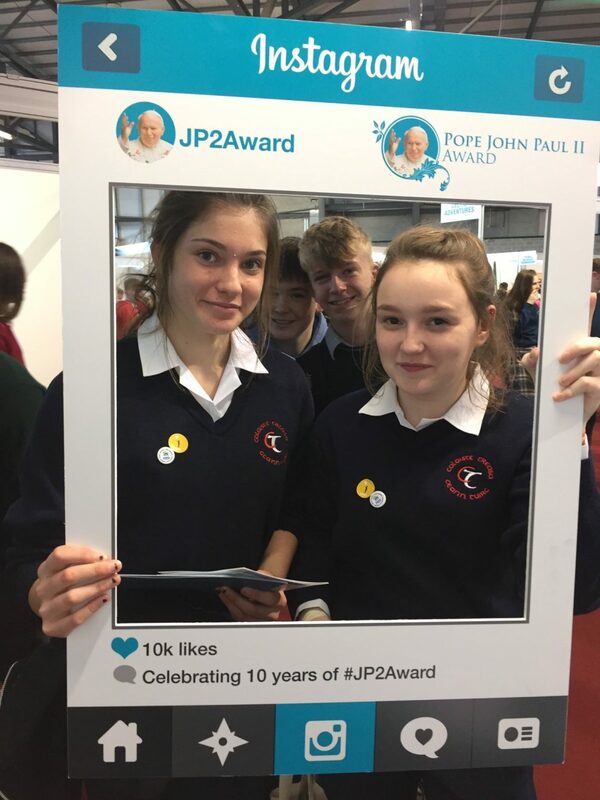 Students who visited the Award stand were introduced to the Award and shown how their work as part of the Award will benefit their faith development, their parishes and community. 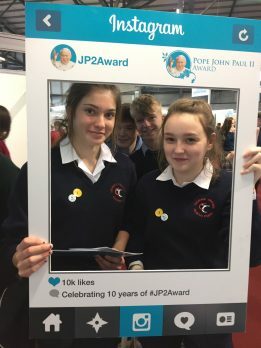 The photographs below really capture the enthusiasm of everyone over the 2 days. 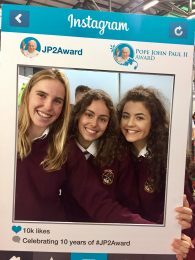 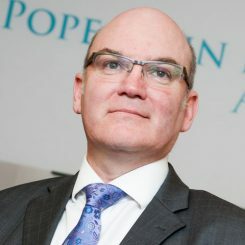 If you are between 16 & 18 years or doing Transition year, you can enroll here to do your Pope John Paul II Award. 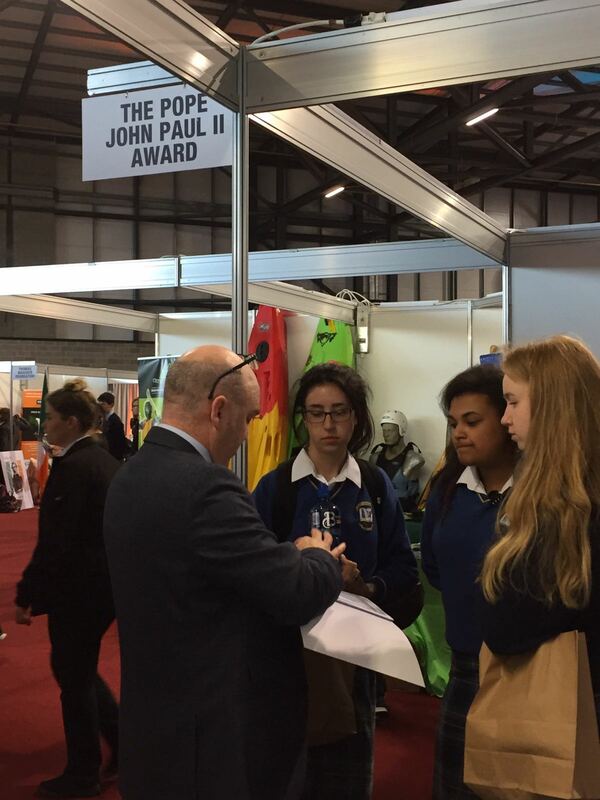 Download an Application & Consent form here. 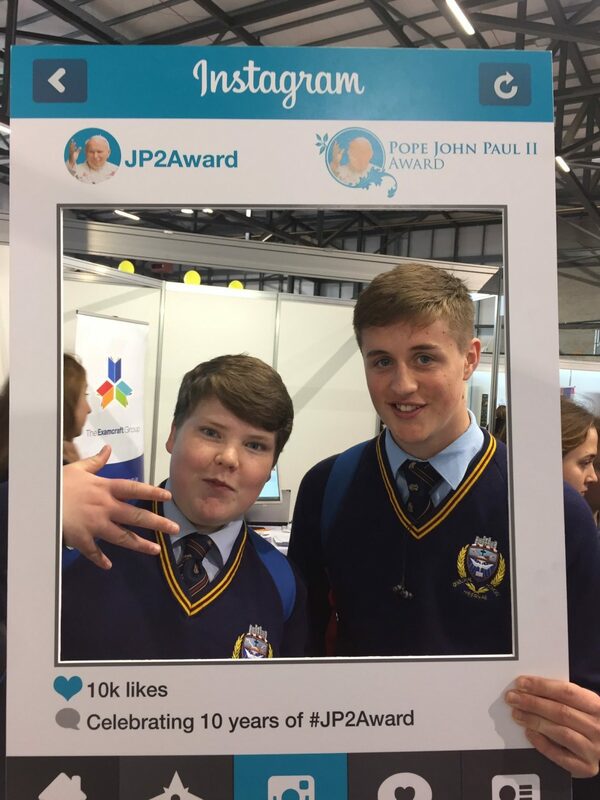 Return it with the enrolment fee to your teacher or Award Leader in your school or parish.